Over the Christmas holidays I have been engrossed in a novel called the “Potato Factory” by Bryce Courtney. The amount of detail and history has been fascinating. It covers the conditions in London, convict transportation to Australia and life for convicts in Tasmania in the early 19th century. An interesting part has been reading about the female factory that one of the characters goes to. The change from convicts sitting in filthy goals back in England to working hard to create a start for Australia. It really shows that this convict labour really paved the way for free settlers, in those times. I’m sure Tasmania still has many beautiful structures due to the convict building of that era that stand today. Between 1804 till 1856, 13 female factories were built in New South Wales and Van Dieman’s Land (Tasmania). The factories worked at producing spun wool and flax, however many other activities were undertaken like sewing and growing other crops. If hard labour roles were needed then the women were assigned to rock breaking and oakum picking. All factories had problems with overcrowding. Just as one would be built, it would reach past it’s capacity. In the Parramatta female factory there was not enough room for the women to sleep at night. Many would have to go into Parramatta to seek accommodation, near the factory. Many of the women that came to Australia, were generally first time offenders and under the age of 35. This meant that many of the women came with their children and they were bought into the female factories. However, high mortality rates in the nursery that held children from babies to 2-3 years olds, meant that many didn’t survive long. The conditions were dirty, damp and disease spread rapidly. Generally the nursery would be near the female factory, but women were only allowed to see their children when it suited those in charge. After around the age of four, children would be taken to the orphanage. If a female convict gained her ticket of leave, she could apply to go to the orphanage to get her child. So if you are looking at a convict in the family it is also good to look at orphanage records to see if any children were put in there while the mother was in goal. 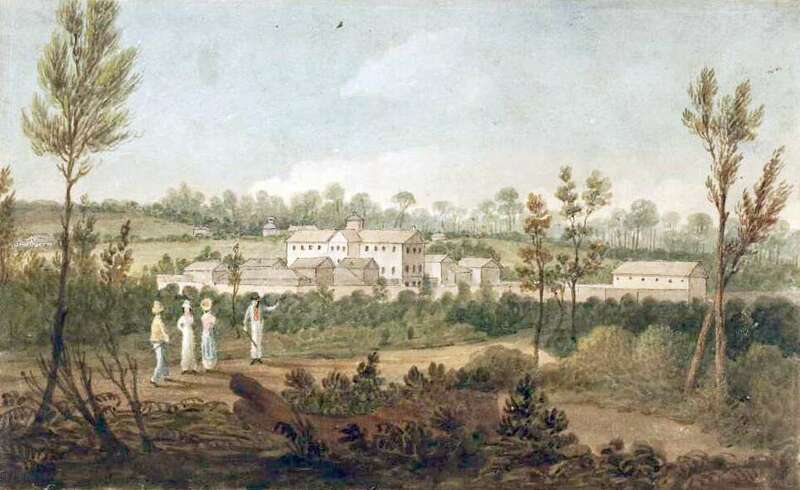 For information and to do research on convicts from Tasmania, visit the http://www.femaleconvicts.org.au/. This website offers a search for convicts, transcripts from journals written on the convict ships, publications that include convict women’s stories and many research papers on interesting topics to read. For information on convicts that went to New South Wales, visit http://www.records.nsw.gov.au/state-archives/guides-and-finding-aids/archives-in-brief/archives-in-brief-34 . I went on a search for convict records early last year too that may a good helpful article for you. For more information specifically on convicts that went to the Parramatta Female Factory, visit http://www.parragirls.org.au/records.php. This website covers a number of institutions in the Parramatta area, including the Asylum, Orphan School, Parramatta Girls Home. Life was hard for women in the female factories. However, many outside the system still had a hard life as servants in families or trying to make a living. There were many stories of women that become successful and others of women that resorted to a life of crime. I think books with Australian history in them like Bryce Courtney’s certainly brought that to life for me. Good luck on bringing your convict ancestors to life too. Cascades Female Factory, convicts, Female convicts, Female Factory, Parramatta Female factory, Tasmania. Bookmark. There are some great images of the Female Factory in Hobart on the LINC Tasmania website (www.linc.tas.gov.au). There also the digitised plans of the factory. Thanks for that, I will have to have a look.